We woke up early this morning and prepared for our train ride to Venice. I have seen so many pictures of Venice and heard so much about it so it was off to see the city for myself. 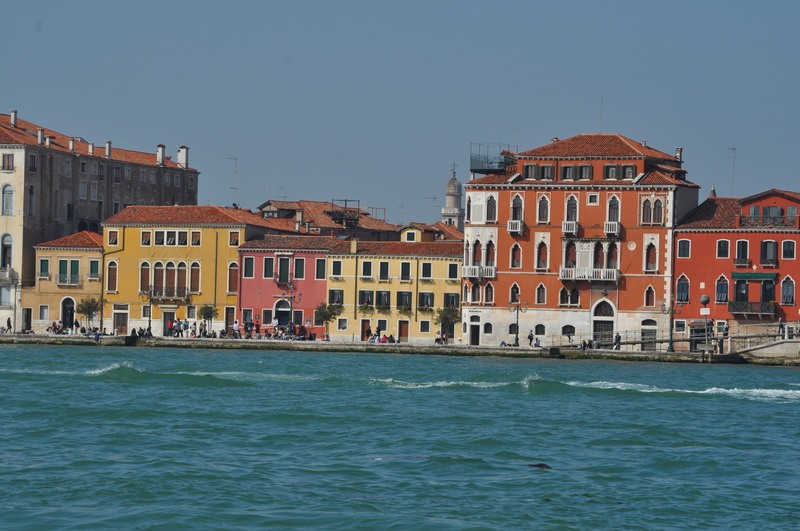 But, before we got to Venice the world just continued to prove how closely connected we are. When we got on the train in Florence there were two college students that were sitting in the seats right near where we were going to sit and they were in the wrong car. Not sure why I noticed them, but I did. I was walking down the car with one of our suitcases and they passed me and noticed my Torrey Pines hat and asked if I was from San Diego. I said yes and the young lady said that she was at school at SDSU. Didn’t think much about until about an hour later when I was walking through the trains and decided to just say hello. We started a nice conversation for about 20 minutes before she asked me where I grew up. I told her NJ, and she asked what town? I said Short Hills/Millburn and she said that her mother was from Millburn and went to Millburn High. I asked what year? She said 1981, my year! Now it was getting interesting. It turns out that her mom graduated with me and was my prom date and post high school girl friend’s good friend. No way, this was way too small world for me. The fact that we were on the same train and started talking and realized that I went to high school with her mom, that is just too weird. 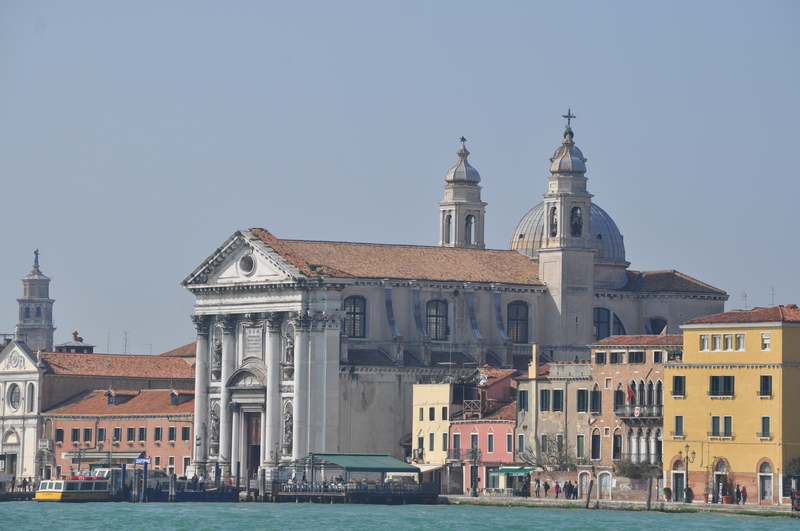 I believe that I will be seeing Miranda again, maybe even tomorrow to go tour the Jewish section of Venice. I continue to be amazed at how small a world we live in, especially after having gelato with Lindsey, the young woman we met in Santorini at the top of a mountain with her boyfriend just one night before. As for Venice, we walked out of the train station and there was a water bus station with boats EVERYWHERE! It was very close to what I expected and very cool. Drew continues to drool at all the beauty of Italy and can’t wait to come back here when she gets older. Of all the things that this trip has provided, seeing her face explode in each new city has been amazing. Now, on the other hand I believe that Noah is struggling being away from his friends. He has had many moments where he has enjoyed himself and he is learning a lot, but he is not that enamored with traveling and I believe he is ready to be home. 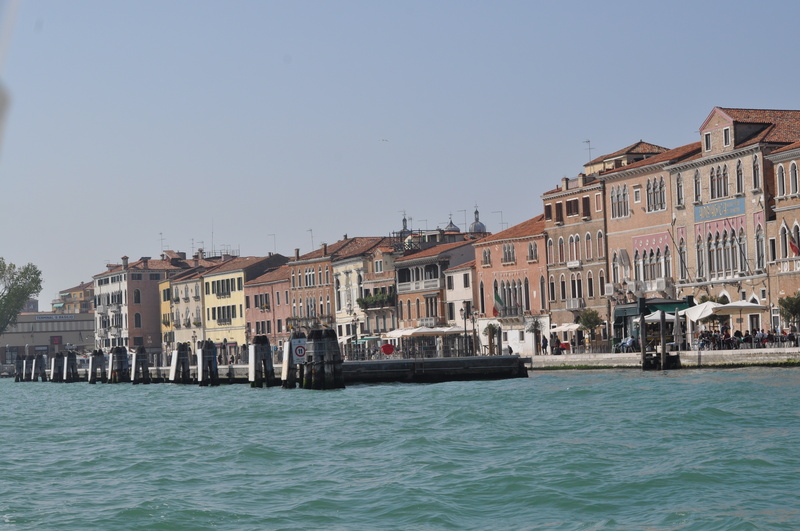 We took a water bus to San Zaccaria and walked about 10 minutes to our AirBnB apartment. We are right in the middle of everything here in Venice and that is pretty cool. We found a fresh pasta restaurant for dinner and continued to just walk around and gawk at the beauty around us. We also found a small gelato shop and continued our string of days with gelato, which needs to come to an end when we leave Italy. Tomorrow I need some real exercise beyond just walking. That will come early tomorrow when I get up and find my way around Venice before everyone awakes. 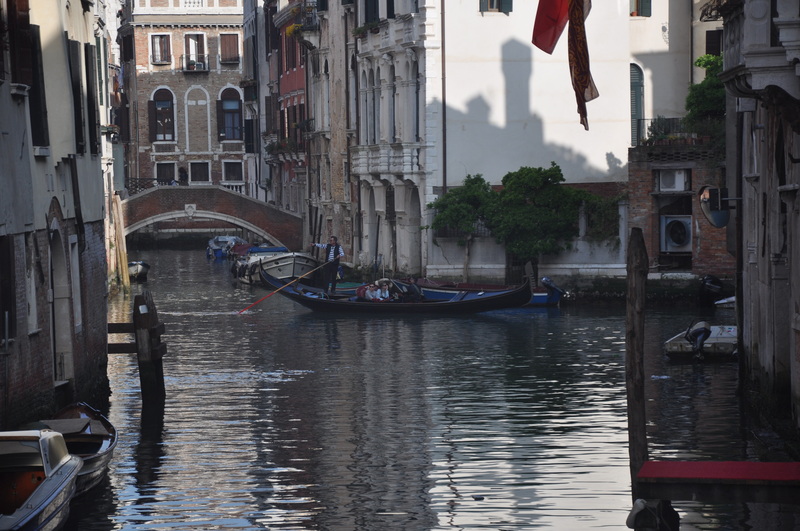 Looking forward to the next few days in Venice and then heading to Germany on Saturday to pick up a car and start the next driving portion of our trip. Every day brings new surprises and I am smiling at each turn.